David Bazan has seemingly escaped the dark shadow of Pedro The Lion. Bazan was always the mastermind of the band but took a big step forward in using his own and name and now is a couple albums and EPs into a “solo” career. The 2013 Spring Tour EP is an art print with a digital download code the back. The collection of 5 cover songs make a pretty striking collection and the tracks are very sought after by Bazan die-hards because he has performed them periodically live over the last few years. Bob Dylan’s “The Man In Me” is a focal point with Bazan’s gentle delivery and his take on Leonard Cohen’s “Hallelujah” seems to fit his style perfectly. He dramatically changes the Radiohead song “Packt Like Sardines In A Crushed Tin Can” to completely alter the vibe of the song to where it is almost unrecognizable. The originally very electronic song is stripped down to a singer/songwriter skeleton highlighting aspects of the song that may have passed you by thee first time you heard it. 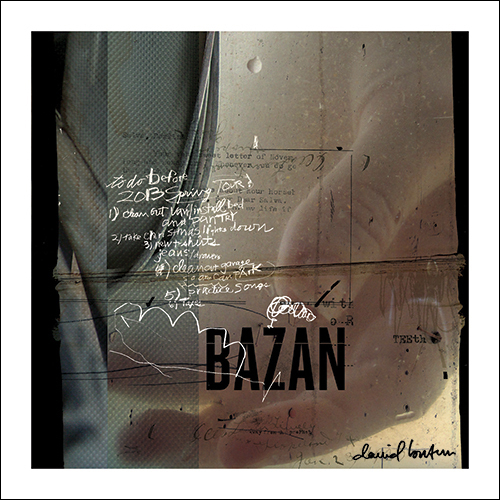 The true gem of the 5 tracks however is a cover of Vic Chesnutt’s “Flirted With You All My Life.” The Chesnutt penned song is essentially a love note to death and was originally performed by Bazan as a tribute to his recently departed friend. The song is one of the most personal and heartbreaking songs you will hear and it is great that it will find a larger audience thanks to this cover version. This entry was posted in 250 word album reviews and tagged 2013 Spring Tour, 250 word album review, art print, Bob Dylan, David Bazan, digital download, EP, Flirted With You All My Life, Leonard Cohen, Pedro The Lion, Radiohead, The Man In Me, Vic Chesnutt. Bookmark the permalink.